This week’s Roundup of Mom’s Choice Award winners features toys and games that directly benefit the UnitedHealthcare Children’s Foundation, potty training tools and educational interactive books! Be sure to scroll through the entire list so you don’t miss any of our new award-winners! All the items you see below won a Mom’s Choice Award during March 11, 2018 to March 17, 2018. 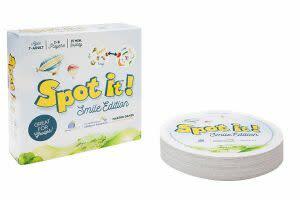 Spot it!, winner of Dr. Toy’s 10 Best Games Award, with over 3 million sold, has teamed-up with UHCCF to create Spot it! Smile Edition, an all-new Spot it! experience with oversized 5 inch playing cards that are easier to see and great for group game playing. Spot it! Smile Edition includes 55 beautifully-illustrated cards. Each card is decorated with eight symbols that are sure to make you smile! A total of 57 different images varying in sizes and orientation. The object of the game is to be the first to spot the one symbol in common between two or more cards, collect the most cards and you win! 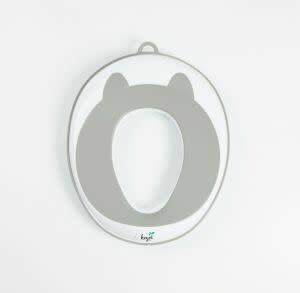 ✓ EASY YO USE & INSTALL – Our Potty Training Seat is easy for your little beloved to use, it makes when wane go because suddenly its so easy. Install it takes just a few seconds and it works on any oval or round toilet seat. ✓ PREMIUM QUALITY MATERIAL – This Potty Training Seat is made of high-quality material. It’s extra durable and can be used for many many years without breaking. It’s portable so you can bring it for travel and much more. ✓ COMFY AND STYLISH – Our ergonomic has a soft gentle texture with non-slip under so the seat will not move around making your kid feel safe while sitting on it. No grips or handles needed! It’s lightweight and has a stylish design to fit any bathroom design. ✓ SUPER EASY CLEANING – The ergonomic flat construction makes it super easy too clean and keeps fresh for daily use. This will be needed because your child/children will love to use it. Sweet character from the popular storybook “Oliver & Hope’s Adventure Under the Stars”, Millie is the perfect new friend for any child. First introduced in the 2nd book of the Oliver & Hope series, “Oliver & Hope’s Adventure Under the Stars” she’s clever, funny and always ready for a hug. She’s not just a new best friend for the child in your life, but the difference in the life of a child that needs a medical grant from the UnitedHealthcare Children’s Foundation. All the proceeds from her purchase will directly support grants given by UHCCF to children and their families. The most valuable interactive touch activated talking poster. Explore the alphabet, spelling, numbers, math, various levels of quiz, games, and so much more…! Learning has never been so much easy and fun. Hang on a wall, play on the floor or use as a colorful play mat. Sings the alphabet and numbers song! Learn to write letters stroke by stroke or be imaginative and write/draw with the wipe-able pen included. Skills learned include alphabet, numbers, pronunciation, animals, math, creativity and imagination, music, logical thinking, motor functions, concentration, dexterity, memory and problem solving. The most valuable interactive touch activated talking poster to discover the wonders of our amazing human body. Learning has never been so much easy and fun. Hang on a wall, play on the floor or use as a colorful play mat. 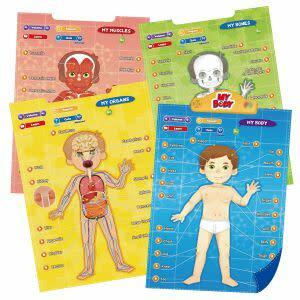 Discover how our body parts, organs, muscles, and bones function. Skills learned include anatomy, memory, logical thinking, concentration, dexterity, and problem solving. Adorable character from the popular Oliver & Hope storybooks. The happiest plush pup around, armed with a big smile and his trademark blue collar, Chewie is ready for lots of real-life fun and adventure in your neck of the woods! Chewie’s adorable face and big brown eyes make him practically irresistible not to love. At 10″ tall, he’s small enough to pack for car trips or play dates, and his super-soft fur make him ideal to snuggle with at nap time or while reading about his best mates Oliver & Hope™. He’ll quickly become the furry favorite in the playroom. 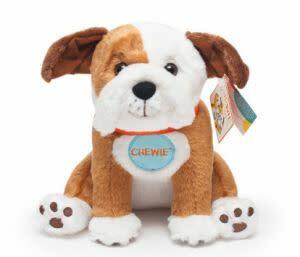 This one-of-a-kind plush bulldog becomes even more endearing when you learn all of his proceeds help to fund future grants given by UHCCF to children in need of medical-related services not covered, or not fully covered, by their families’ commercial health insurance plan. 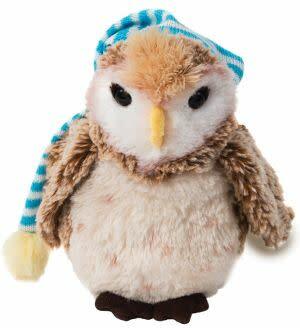 Adorable character from the popular UnitedHealthcare Children’s Foundation Oliver & Hope storybooks. 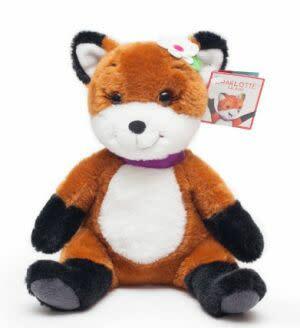 From UnitedHealthcare Children’s Foundation’s (UHCCF) Oliver & Hope storybook series – meet Charlotte the fox! When Charlotte is with her friends between the pages of an Oliver & Hope storybook, she’s always finding smart solutions to challenges. She is a clever fox after all! And now Charlotte is available as a 9.5″ cuddly toy that children will adore. 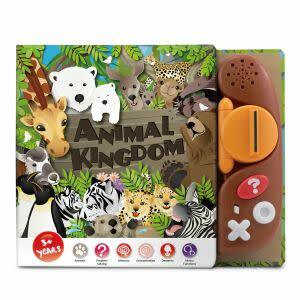 An interactive book reader for children to teach 12 animals about their appearance, behaviors, habitats and much more! Simply press the paw down against the page as it reads aloud the contents. Comes with a true and false quiz mode for those up for a challenge to keep them enthusiastic and learning at the same time. Skills learned include animals, memory, dexterity, motor functions, concentration and problem solving. Im thinking that my daughter would do alot better with the training seat tgan an actual potty. Thanks for yhe tips , i enjoy reading your articles! Another lovely round up,I do like the Potty Training Seat for Kids, Toddlers & Infants is really cute will be sharing with my daughter it soon be time to start getting the little one familiar with those items in preparation for training in the future. Absolutely enjoy reading your weekly round ups . Such wonderful products and great gift ideas .